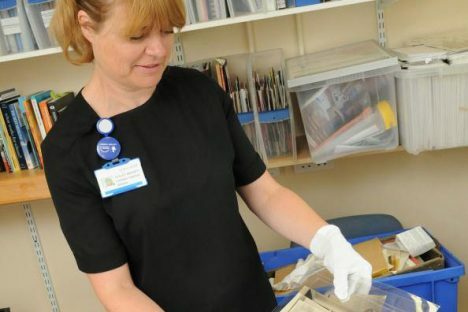 The historical archives at Salisbury Hospital range from the 1760s to present day and include the General Infirmary, Odstock Hospital and many other sites around Salisbury, they provide a fascinating insight into medicine, healthcare and social history of the city for the past 250 years. 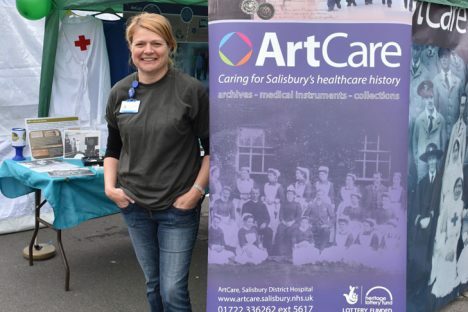 In December 2015, ArtCare were successful in a Heritage Lottery Fund bid for £40,000 towards sorting, recording and sharing the historical archives and collections relating to health care in Salisbury. 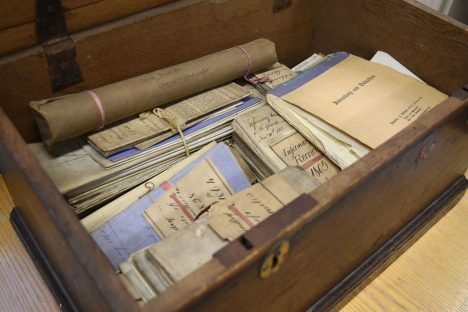 Before the Heritage Lottery Fund project started, our collections were badly stored in various locations, recorded in a haphazard way that didn’t allow easy searching and digitised in formats that weren’t compatible with website searching; and we knew that there was more material out there – yet to be found! We certainly had a huge job ahead of us. First off was to provide training for staff and volunteers on good practice advice. Lesley Meaker, ArtCare’s history project lead produced Documentation Guidelines to work from that followed museum standards on the best way to record, handle and catalogue items. We had some painstaking and methodical work to be undertaken by a team of really committed volunteers. 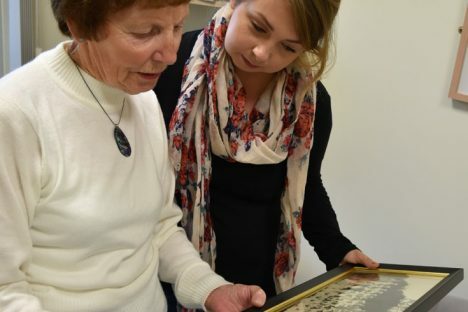 So far 15 volunteers, who have directly worked with digitising and recording the collection, have donated over 1000 hours of their time to the project. Thanks to the Heritage Lottery Fund we were able to invest in some new archive boxes, photographic wallets and packaging materials for objects. Our storeroom now also has humidity and temperature control, which means that the archives are protected in a much more stable environment. 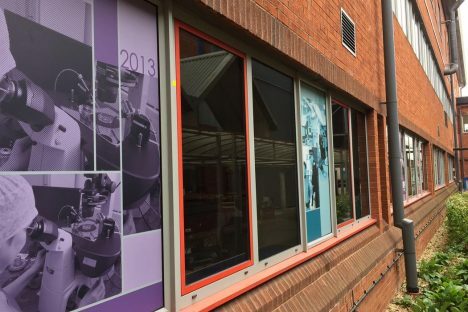 ArtCare was also able to invest in new computers, MODES museum software, scanning and photographic equipment to record and catalogue the items. As well as sourcing and pulling together items stored around the hospital site, we had significant new donations of materials. 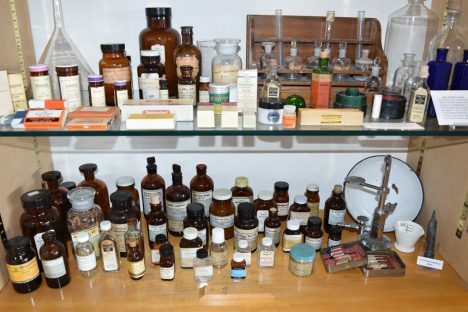 Items included over 200 objects donated by the Pharmacy ranging from medicine bottles to scales and equipment; archive photographs and clippings relating to Salisbury Carnivals and photographs, plans and ephemera relating to the Spinal Injuries Unit. 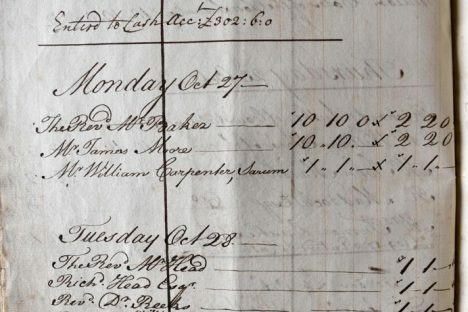 We also rediscovered the archives relating to the early days of Salisbury General Infirmary and the appointment of the first hospital matron in 1766/7. The hospital site is a busy and teeming environment, which means we have to be creative on how we display our historical items. 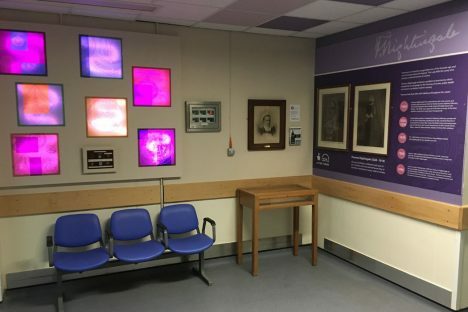 So far, we have several new displays including the focus on nursing and Florence Nightingale on Level 2, Nunton Entrance; the re-display of the Salisbury Embroidery and the colourful photo timeline panels leading along the exterior walkway into the hospital at Level 2, Springs Entrance. You can also ‘travel back in time’ if you take one of the six differently themed lifts. Each lift interior has been clad in a selection of interesting photographs from the archives. This work was sponsored by Salisbury Hospital League of Friends. 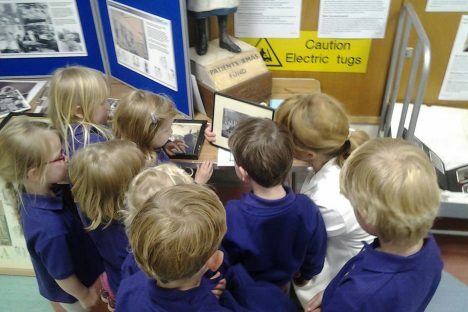 Our work has been supported by Wiltshire Museum Service and Wiltshire and Swindon Archives at Chippenham. 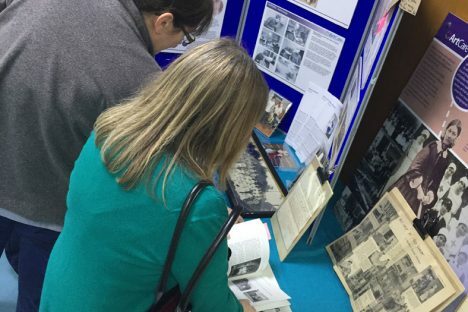 We have also been able to share and contribute material for other projects including the ‘Wiltshire at War’ website as well as pins on the ‘Know Your Place’ Wiltshire map and the ‘Secret Spitfires’ film project. In July 2016, ArtCare received a visit from Salisbury MP John Glen who was interested to find out more about our historic collections and plans for developing our collections. 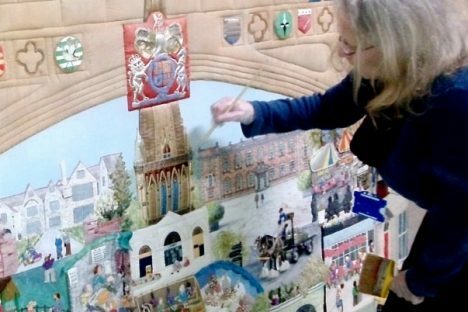 At Christmas 2016, we were able to research and share material with Woodgreen Village Hall who have some wonderful murals from 1930s that include Salisbury Infirmary. 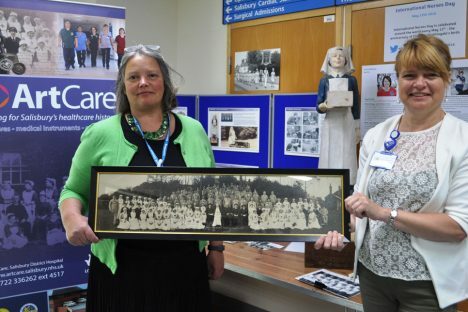 We have appeared on That’s TV Salisbury – you can watch the item on YouTube We also regular contribute to Salisbury Hospital’s social media sites – Facebook and Twitter. 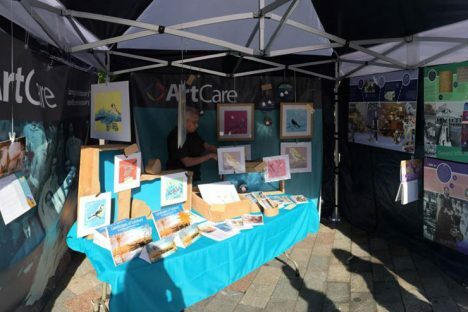 ArtCare also has a Pinterest account. ArtCare have created some exhibition loan panels, handling box items and a series of teachers packs as resources for our history workshops with schools. 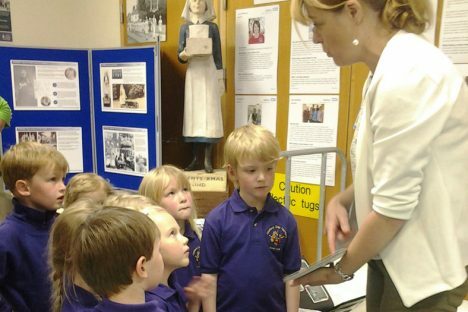 Themes include Medicine from War, Nursing, Florence Nightingale, Science and technology, World War II and field hospitals, Uniforms and Women’s Roles. 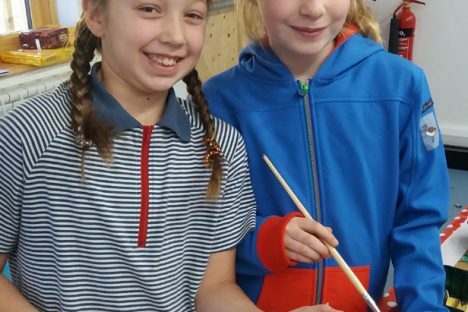 So far workshops have been delivered to Woodford Valley School, Longford School, Old Sarum School and Larkhill Guides. 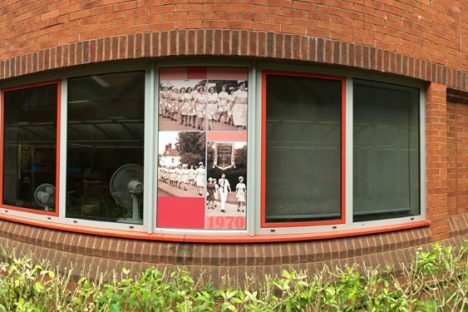 In 2017, we are embarking on a project with regular contributors Burgate School whose A Level students will be designing an exhibition entitled ‘Heroes and Inspiration’. 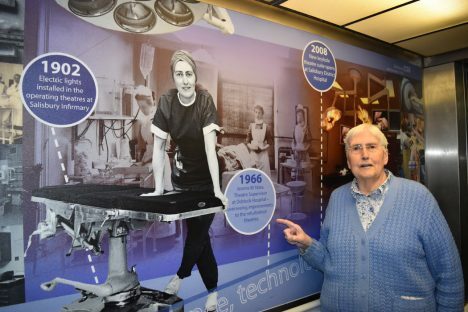 This takes its impetus from the International Nurse Day celebrations we held here in 2016 and 2017, during which we asked nursing staff who or what inspired them into healthcare.